Norfolk is a county in East Anglia in England. It borders Lincolnshire to the west and north-west, Cambridgeshire to the west and southwest, and Suffolk to the south. Its northern and eastern boundaries are the North Sea and, to the north-west, The Wash. The county town is Norwich. 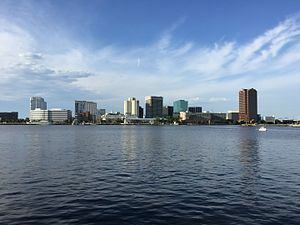 With an area of 2,074 square miles (5,370 km2) and a population of 859,400, Norfolk is a largely rural county with a population density of 401 per square mile (155 per km²). Of the county's population, 40% live in four major built up areas: Norwich (213,000), Great Yarmouth (63,000), King's Lynn (46,000) and Thetford (25,000). 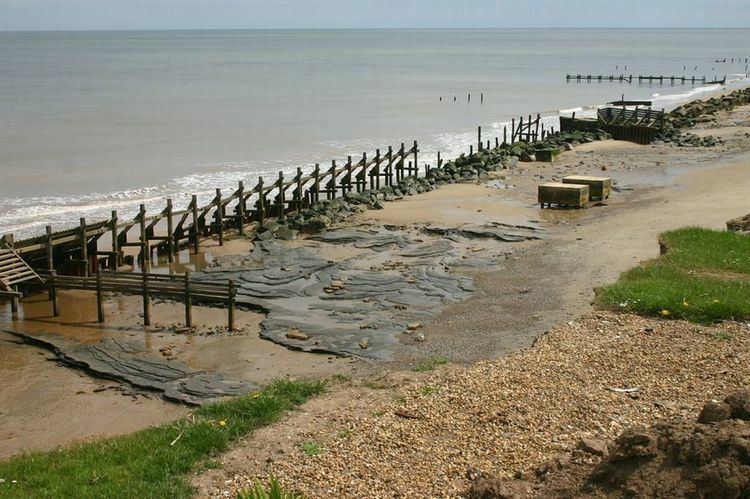 Norfolk's low-lying land and easily eroded cliffs, many of which are chalk and clay, make it vulnerable to the sea; the most recent major event was the North Sea flood of 1953. The low-lying section of coast between Kelling and Lowestoft Ness in Suffolk is currently managed by the Environment Agency to protect the Broads from sea flooding. Management policy for the North Norfolk coastline is described in the North Norfolk Shoreline Management Plan, which was published in 2006 but has yet to be accepted by the local authorities. The Shoreline Management Plan states that the stretch of coast will be protected for at least another 50 years, but that in the face of sea level rise and post-glacial lowering of land levels in the South East, there is an urgent need for further research to inform future management decisions, including the possibility that the sea defences may have to be realigned to a more sustainable position. Natural England have contributed some research into the impacts on the environment of various realignment options. 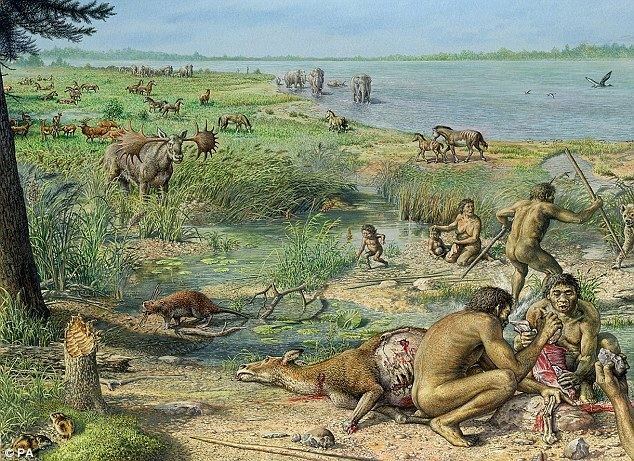 The draft report of their research was leaked to the press, who created great anxiety by reporting that Natural England plan to abandon a large section of the Norfolk Broads, villages and farmland to the sea to save the rest of the Norfolk coastline from the impact of climate change. Well-known companies in Norfolk are Aviva (formerly Norwich Union), Colman's (part of Unilever), Lotus Cars and Bernard Matthews Farms. The Construction Industry Training Board is based on the former airfield of RAF Bircham Newton. The BBC East region is centred on Norwich, although it covers an area as far west as Milton Keynes; the BBC does however provide BBC Radio Norfolk solely for the county. A Local Enterprise Partnership has recently been established by business leaders to help grow jobs across Norfolk and Suffolk. They have secured an enterprise zone to help grow businesses in the energy sector, and established the two counties as a centre for growing services and products for the green economy. To help local industry in Norwich, the local council offered a wireless internet service but this has now been withdrawn as funding has ceased. Norfolk has a completely comprehensive state education system, with secondary school age from 11 to 16 or in some schools with sixth forms, 18 years old. In many of the rural areas, there is no nearby sixth form and so sixth form colleges are found in larger towns. There are twelve independent, or private schools, including Gresham's School in Holt in the north of the county, Thetford Grammar School in Thetford which is Britain's fifth oldest extant school, Langley School in Loddon, and several in the city of Norwich, including Norwich School and Norwich High School for Girls. The King's Lynn district has the largest school population. 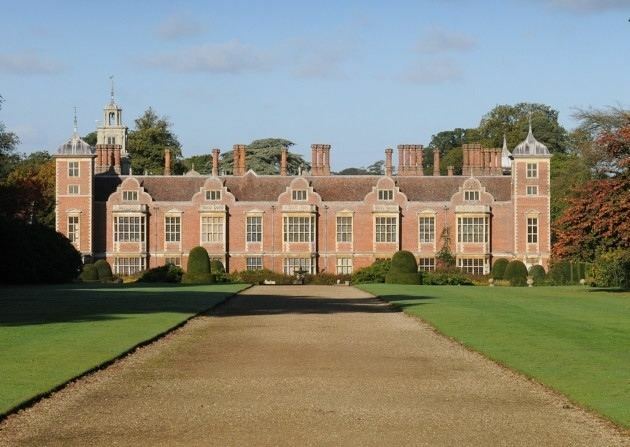 Norfolk is also home to Wymondham College, the UK's largest remaining state boarding school. Norfolk is under the control of Norfolk County Council and is also divided into seven local government districts: Breckland District, Broadland District, Great Yarmouth Borough, King's Lynn and West Norfolk Borough, North Norfolk District, Norwich City and South Norfolk District. As of 2014 the Conservatives controlled five of the seven districts, while Norwich is controlled by Labour and Great Yarmouth is under no overall control. The county is traditionally a stronghold for the Conservatives, who have always won at least 50% of Norfolk's parliamentary constituencies since 1979. The countryside is mostly solid Conservative territory, with a few areas being strong for the Liberal Democrats. From 1995 to 2007, South Norfolk was run by the Liberal Democrats, but the district switched back to the Conservatives in a landslide in 2007. Norfolk's urban areas are more mixed, although Norwich and central parts of Great Yarmouth and King's Lynn are strong for the Labour Party. This said, Labour's dominance in Norwich has recently been stemmed by the Green Party, who are now the official opposition on Norwich City Council and also hold several divisions within the city on Norfolk County Council. Norfolk County Council had been under Conservative control since 1997, but they lost overall control at the 2013 election, when the Conservatives lost 20 seats and UKIP gained 14. As at 2013 there are 40 Conservative councillors, 15 UKIP, 14 Labour, 10 Liberal Democrats, 4 Green Party and one independent. Although the Conservatives had been expected to form a minority administration or to seek a coalition with the Liberal Democrats, both scenarios failed to materialise. Eventually, a rainbow alliance between Labour, the Liberal Democrats, Greens and UKIP was formed, with the cabinet composed solely of Labour and Liberal Democrats. Following the May 2015 General Election, Norfolk is represented in the House of Commons by seven Conservative members of parliament, one Labour Member of Parliament and one Liberal Democrat. Nick Youngs (1959–) and his two sons, Ben (1989–) and Tom (1987–) were both raised close to the town of Aylsham on their father's farm. Youngs was a former rugby player for Leicester Tigers and England. Both sons went on to represent the national rugby union team.